I would sleep with my contact lenses in, so I could be ready at a moment’s notice. Chadwick Haynes wanted to be a firefighter all his life. From an early age, he wanted to help people and give back to the community. 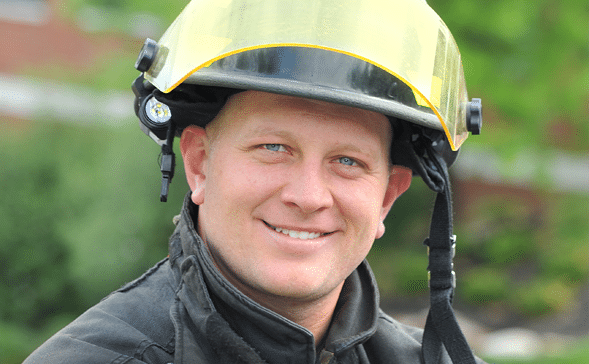 For the past three years, he has been doing just that for the City of Knoxville Fire Department, working out of the downtown station. 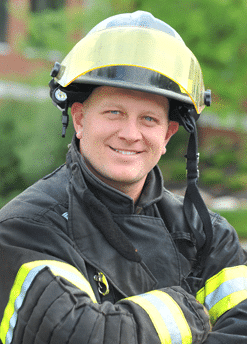 During his first two years of firefighting, Chadwick struggled with wearing glasses or contacts on the job. His glasses would not fit underneath his air mask, so he wore contact lenses. His optometrist told him that Campbell Cunningham Laser Center was the best place to go for LASIK®, so he made an appointment immediately. During his free consultation, Chadwick expressed concern about what the surgery would be like. Would it hurt? How long would it take? He let them know that he also had a big phobia about anyone getting anywhere near his eyes. The staff at Campbell Cunningham Laser Center answered all his questions and let him know that they would do everything they could to make him comfortable and keep him calm during the surgery. “They take care of you at Campbell Cunningham Laser Center,” Chadwick boasts. The next day, he woke up and he didn’t have to reach for his glasses or put in his contact lenses. “It changed my life 100%. I wish I had done it sooner. I had no idea that my eyesight could become that sharp,” he marvels. Now, Chadwick plays golf without contacts or glasses and has taken up swimming for exercise, something he never did before LASIK.